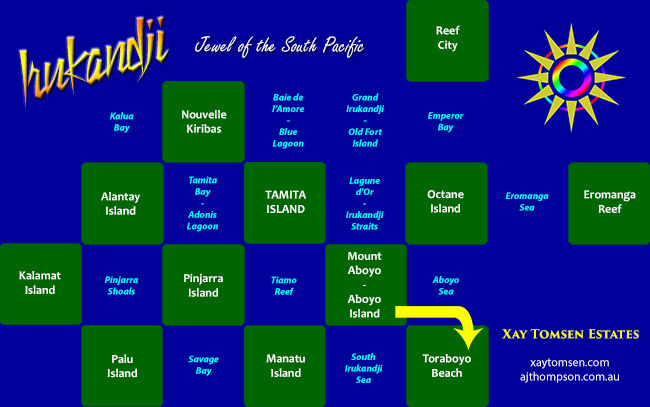 NOTE: This page is about Toraboyo Beach in InWorldz. 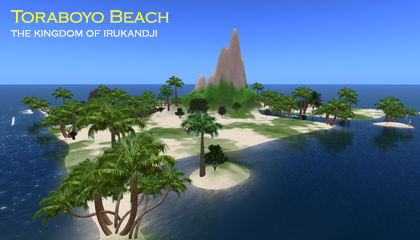 The Second Life version is here: Toraboyo Beach in Second Life. 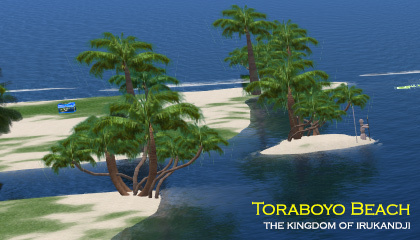 This version of Toraboyo Beach was a simulator on the InWorldz virtual world. Locate in Aboyo State in southeast Irukandji, Toraboyo Beach was a residential island and terraformed by hand. Toraboyo Beach in IW is one of the rare examples of the latter incarnation performing better than the original. Throughout its life, Toraboyo Beach enjoyed about 75% occupancy, which is a good rate for that particular grid. Most residents were from the US. The Aboyo River weaved through the island, from Aboyo Sea in the north to South Irukandji Sea in the west. Toraboyo Beach was located on the edge of the kingdom and the only region that adjoined its shores was Mount Aboyo (later Aboyo Island). Below you will find some photographs of Toraboyo Beach.